Jenia Lubich is a Russian indie pop singer-songwriter, coming from St. Petersburg. She’s known in Russia and round the world for her songs and melodies, soundtracks to various movies, for her concerts and albums. 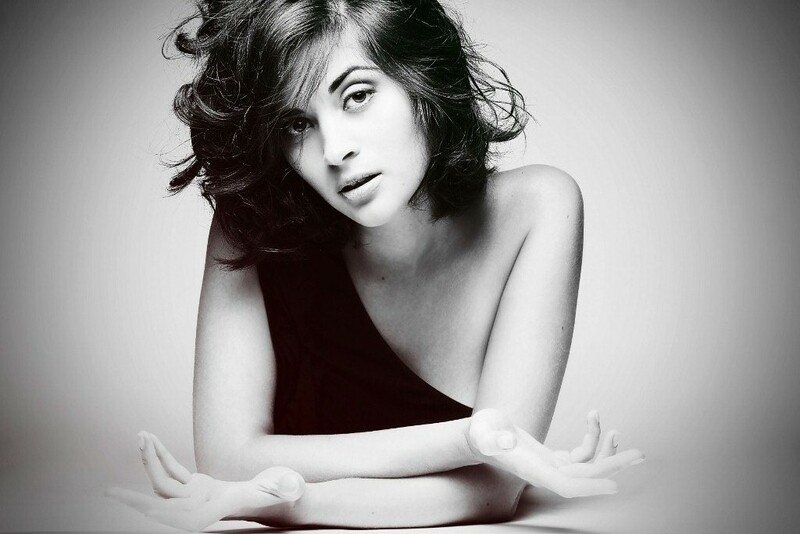 She had been working with a famous French band “Nouvelle Vague”, and her voice can be heard on their CD’s. Jenia had released two solo-albums - “C’est la vie” (2011) and “Code Morse”(2014) - both recorded at Kwaidan Records in Paris with French musicians directed by “Nouvelle Vague”’s producer Marc Collin. These two albums contain songs that Jenia wrote in Russian, French and English. In “Nouvelle Vague”s’ third and fourth albums - "NV3" and “Les Couleurs sur Paris” Jenia performs “Marooned” , “Aussi Belle q'une Balle” and “La Crise Economique”. And her own song “Galaxy” appears in their album - “Nouvelle Vague. The Singers”. While working in France, Jenia recorded an aria of Violetta “Addio del passato bei sogni ridenti” from Verdi's “Traviata” for the “Private Domain” project by Iko and Marc Collin, held by Naïve Music. 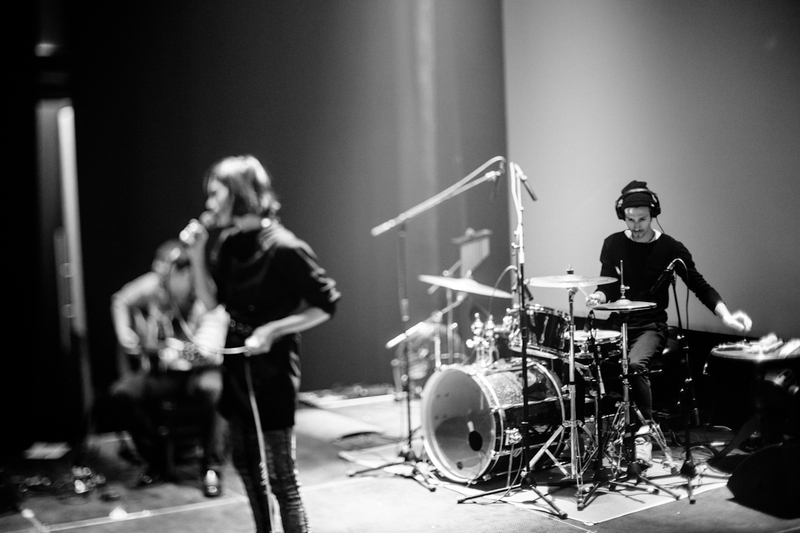 Jenia participated in various concerts with Nouvelle Vague around the world, and one of the most memorable was their performance at Olympia concert hall in Paris. Jenia has been also working with French house dj and “Hotel Costes” creator - Stephane Pompougnac. Her song “Morning Flow” appears in his CD Collection “Night and Day”. Besides Jenia had released a song “Everlasting Roads” for a CD “La Musique du Fabourg” by another French DJ - Malik Alary. Later on Jenia Lubich developed her own project. In St. Petersburg she had formed her own band, which may sound very acoustic and gentle as well as strong and powerful, when playing live shows. Seen as very much as a St. Petersburg artist, Jenia keeps up her international connections and quite often performs abroad. In December 2014 in Paris Jenia had a presentation and a concert dedicated to the digital European release of the international version of “C’est la vie” album, called “Russian Girl” – named after the one of her most popular songs. In 2015 “Russian Girl” was released as a vinyl LP by “Imagine Club”, St.Petersburg. There are several music videos to the songs of the album, including “Russian Girl”, made in Moscow by Dmitry Gienko. He also produced a video to the song “Jeanne d’Arc” from the latest Jenia’s album - “Code Morse” which was released in April 2015 in Russia. Recorded in France, it was sound-produced by Marc Collin and Kevin Sedikki – a French virtuoso guitarist and percussionist. There is also a music video to the title song, where Jenia dances with the ballet dancer of Boris Eifman’s company - Anton Labunskas, which was taken in one of St.Petersburg deserted palaces. Jenia’s latest achievements are 3 tracks, composed for the Russian fantasy-movie “He’s a Dragon” (OST "He's a Dragon/ On Drakon"). This film by Bazelevs cinema company is a great success in Russia, in China and other countries. Jenia’s “Lulluby of Silense”, which is the leading musical theme of the movie, became very popular and there are numerous covers to this song everywhere around the world. 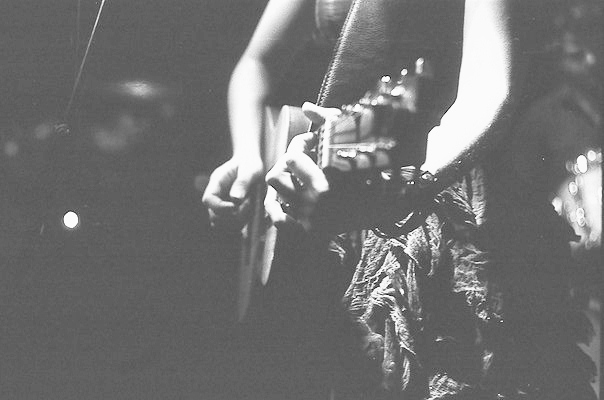 Everything began, when I started to play the acoustic guitar when I was a teenager. Everybody is striving to express oneself, and I thought that my guitar might help me with it. Since that moment I can't quit making music, I am doing it all my life - I guess this is fatal. do you have music education? No, I haven't studied music, but I have some experience. In what kind of musical projects have you participated? I won't tell about the projects I had at school, but when I settled in St.Petersburg in 1983, I immediately joined the band "Trudovye Reservy". We played post punk, in a way our music was similar to British new wave, like «The Smiths», «Cure», «P.I.L», «Bauhaus». Then I entered the army, and when I returned, I created my own project, which I called later «Second Hand Roses». Then I started working at Drama theatre "on Liteinyi" as a musician, I played flute. There I met Kolya Rostovsky, a pianist of the "Spleen" band, and that's how this story with "Spleen" began. I became a guiatarist of this group, and I played there until 2005. Then I recorded my first solo album, called "Pribytie Poeza" (the arrival of the train) at Leonid Kovin's studio "Grachev Records". This project of mine is still active, I sing and play there my own songs, written in Russian and in English. How did you come across Jenia Lubich? I heard her name long time before we met. And at one point I needed back-vocals. My friend, a pianist Vladimir Sorokin recomended Jenia to me. In the beginning Jenia helped me with my songs, and later it turned out that I could be of help in her undertaking. I feel that Jenia's project has future. Jenia's songs have room for imagination in musical sense. And not only music, but her lyrics as well. Besides I saw here determination and faithfelness to music. Without it it wouldn't work. We are in the process. I was fond of music since early childhood, though I started playing guitar only when I was 15. When I was 7 years old, my parents wanted me to study at musical college, but I was strongly against it. However several years later I joined a school music group, and since then everyting started. When did you meet Jenia and why did you decide to work with her? We got acquainted in February 2011 at one of her concerts in St.Petersburg. By that time I have already heard a lot about Jenia, but I wanted to see her performing live. And I liked what I saw. She sings in three languages, composes songs and she has her own style. So when she invited me to join her group, I accepted the offer. What keeps you in the band? There are professional musiciams here, the atmosphere is warm and friendly, and all together this makes a good basis for mutual creativity. First of all it's the originality of Jenia's music, and the way, in which she presents her songs to the audience. I am interested in working on her material - not only in the sense of our rehearsals but also I mean the sound-production, recording, mixing, mastering, etc. We'll see what comes out of this. Please, tell something about yourself. I have a classical music background. I studied at Glinka's musical college, but already there I was getting involved in other kinds of trends. It all started from jazz, then I went into rock and electronic music. My non-classical career began from a jazz-orchestra. Then I played Latin-American music and participated in various jazz and fusion groups. One of the most significant of them was (and still is) Toys Market. Denis, how did you get to Jenia's band? Could you share your first impressions? We met on a jazz-jam, and we improvised together several songs. And then - it was just fate! What attracts you in this project? First of all it's Jenia's songs - the lyrics and the music. Besides I like the way we develop - it is very different from my previous experience. No examples. I appreciate when people gather not for money but for ideas. I am not much fond of groups with hired musicians. The difference is not that visible but in the end it tells. Simply - what is done with love - it's good, and what is being done without it, has no future. How did you start to play with Jenia Lubich? My friend, Dmitry Gurovich suggested me to come to the rehearsal with Jenia. At first I felt rather skeptical about the offer, but in the last minute I dialed Jenia Lubich on youtube, I saw Jenia and I realized that I have to go and try myself as a drummer in her band. I took my stuff, I got in the car and went to the rehearsal. I liked Jenia's musicians and songs at once. That's how my work in this project began. Within every band there are some difficult moments at times. What helps you overcome them? There were many singers, I worked with, but Jenia is the most adequate person. She can understand and she is able to hear others - this is rare and great! I feel comfortable playing with her, and I think that we can achieve good level all together. What helps you find mutual language with the members of Jenia's group? I guess it's the music, which helps. Sometimes we debate and argue, but we always find a compromise at the end. How did you start doing music? In my childhood I studied piano during 5 years, but I had no enthusiasm about it. I admired rock music of 70': «Queen», «Yes», «Deep Purple», etc. When I was 15, I entered a school band with two fellows, and it was then, when I started to play base, and I reailised that this is something I would dedicate my life to! In what kind of projects did you manage to play, apart from Jenia Lubich? "Soundscript 33" with a saxophone player, Dima Fedorov, then there was a project with a dj - Roma Fresh (Fresh Project Live). This was actually our first undertaking, where Jenia participted as well. Then, together with Roma Fresh we composed lots of house- tracks, and one of these electronic works was released by a British label "1980 Recordings". How and when did you meet Jenia and why did you decide to work with her? It all happened by chance. A girl, who was supposed to play double-base, couldn't come to a sudio recording of the track "Chernoe, which the band tried to record in St.Petersburg. Jenia called me, and I came to the studio. There I made friends with Stas Berezovsky, and at the end we recorded the song. The rocording itself didn't go anywhere, but the next day we decided to play together, and that's how I joined Jenia's project. What kept you in the band? It was fun - concerts, tours, festivals...Besides, Jenia - is a super girl! We may argue about some musical questions, but we never struggle seriously, and nobody gets offended. Are you still friends with Jenia? Where are you now, what are you doing, what are your plans for the future? Of' course we are friends, and I hope we'll always be! Everyone knows my plans - I am going to do music, wherever I am - in Russia or in Thailand, or elsewhere! .